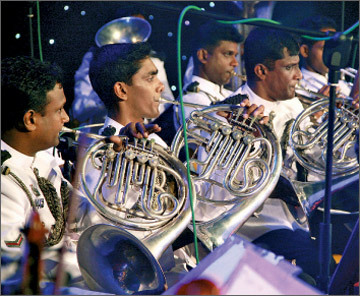 Mother Sri Lanka Trust in collaboration with the Art of Living Foundation launched the first Interfaith Music Festival in Asia, at the Sugathadasa Indoor Stadium recently. 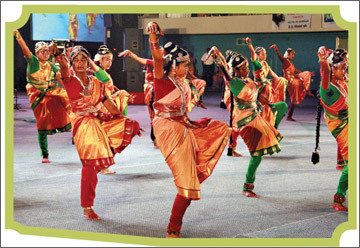 The festival was a coming-together of 1,500 schoolchildren from over 50 schools from across the island representing the districts of Colombo, Gampaha, Trincomalee, Jaffna, Puttalam, Ratnapura, Badulla, Matara, Kalutara and Kandy. Representing all four religions, along with 300 drummers, 200 dancers, and 50 guitarists, sang songs and chants from all religious faiths. The performers included renowned local musicians such as Edward Jayakody, Bathiya & Santhush, Charitha Priyadarshani, Jayantha Ratnayake, Samitha Mudunkotuwa, Athula Adhikari, Toni Hassan among others who joined the children to sing along. Our photographer Sulochana Gamage captured these moments from the event.